1. [+4,188, -106] These guys are no joke, amazing!! 2. [+3,375, -136] Daebak... they're truly a wall now. 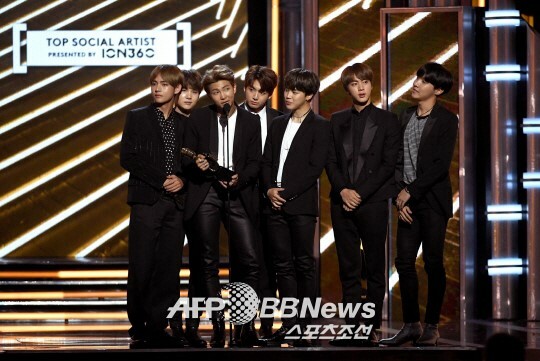 Congrats, BTS! 3. [+2,863, -120] Armies, let me hear you shout!!!! 7. [+735, -14] This is insane, a Billboard award! 8. [+654, -12] Amidst it all, BTS remembered to thank the Armies first ㅠㅠ My English skills are going to improve knowing that BTS will be attending the Billboards every year now!! So amazing!! 10. [+564, -8] Wow... They were nominees alongside Bieber and Gomez, amazing..